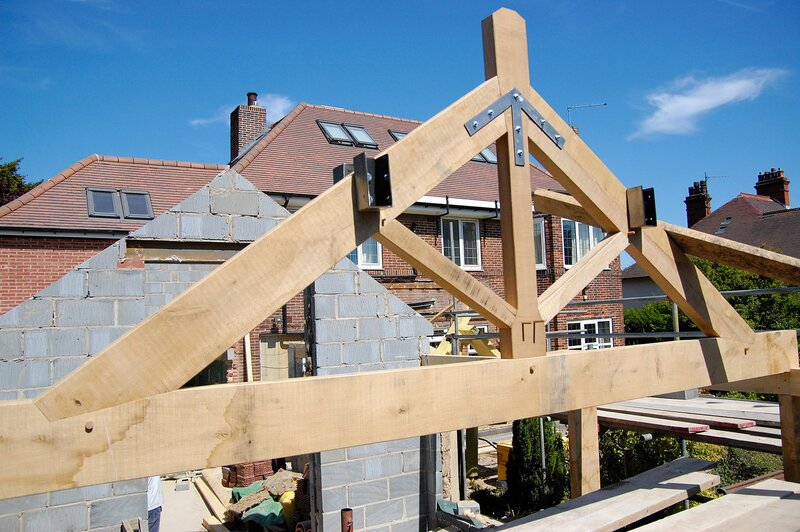 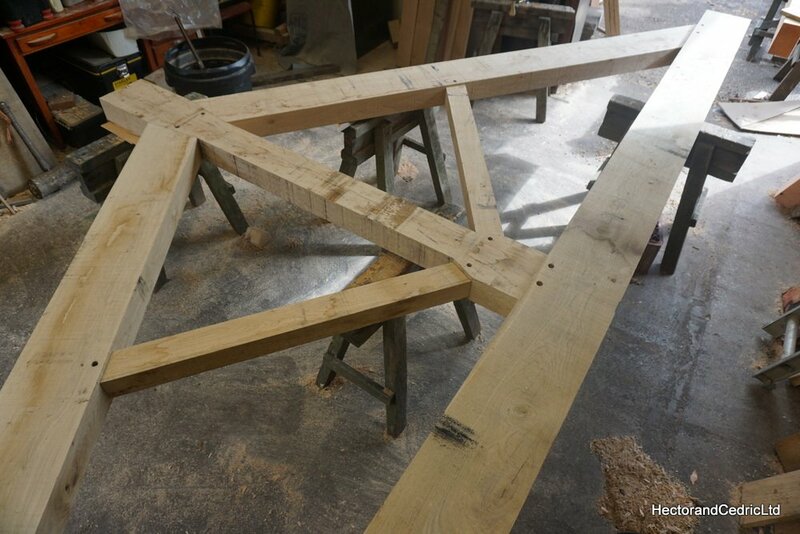 Our carpenters reinstated a historic cruck timber frame crafted in green oak near Bradfield Sheffield. 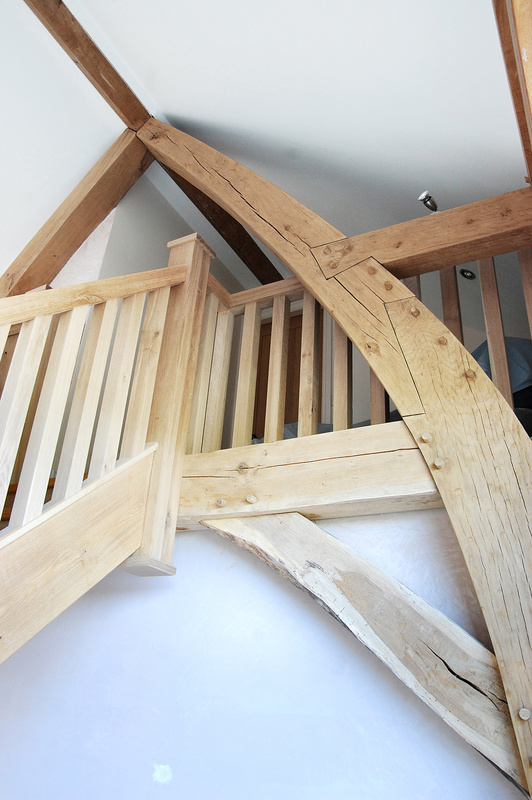 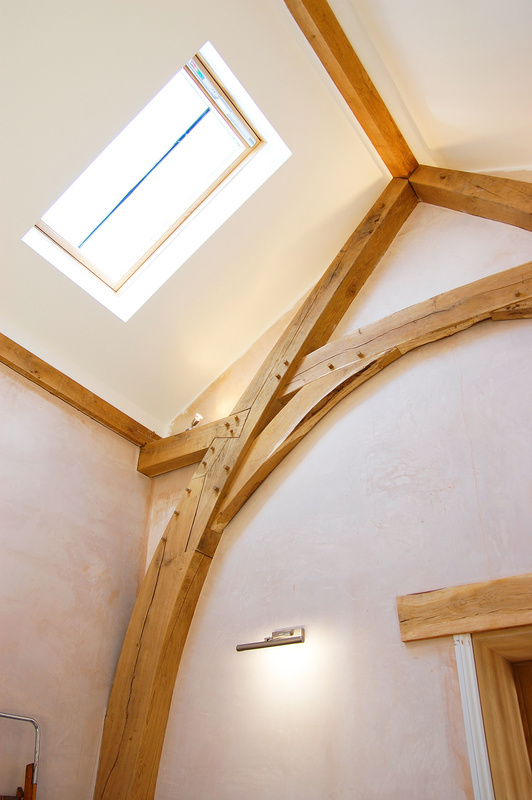 These frames are constructed from curved timbers “cruck blades” using the natural shape of the oak tree to produce stunning timber frame buildings. 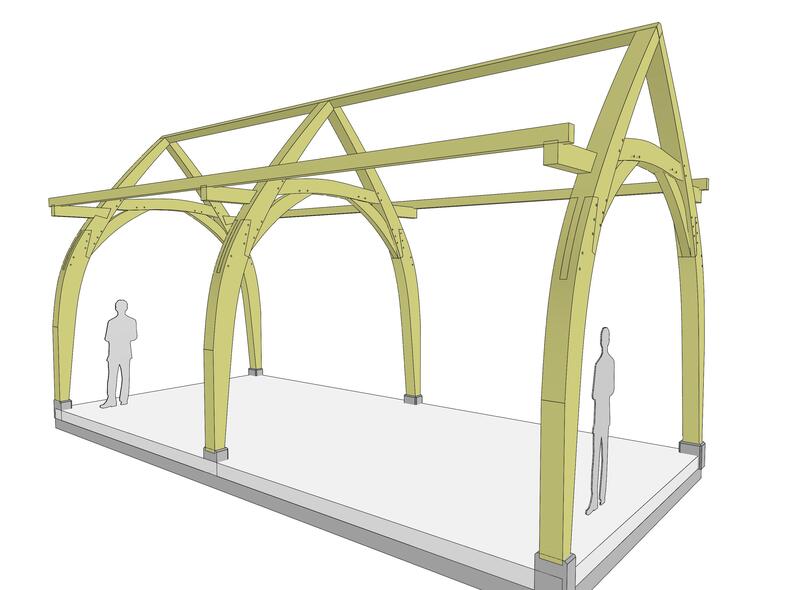 Cruck framed buildings became popular during medieval times; large halls and barns were built to show off prosperity until the later arrival straight timbered box frames. 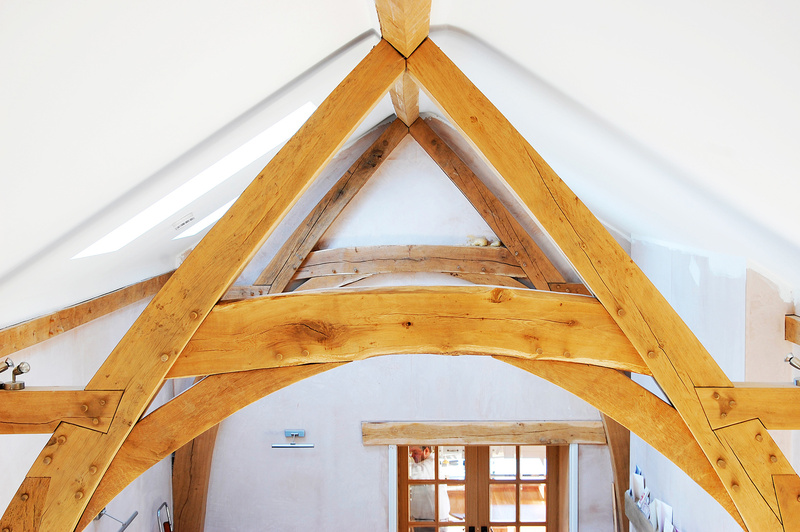 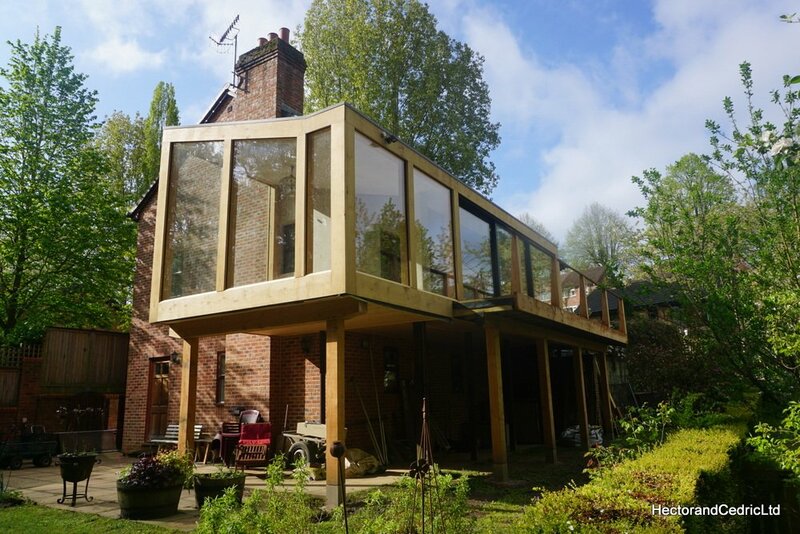 A cruck framed building creates a beautiful space to live, we often like to work and mix these natural curves and features into our designs. 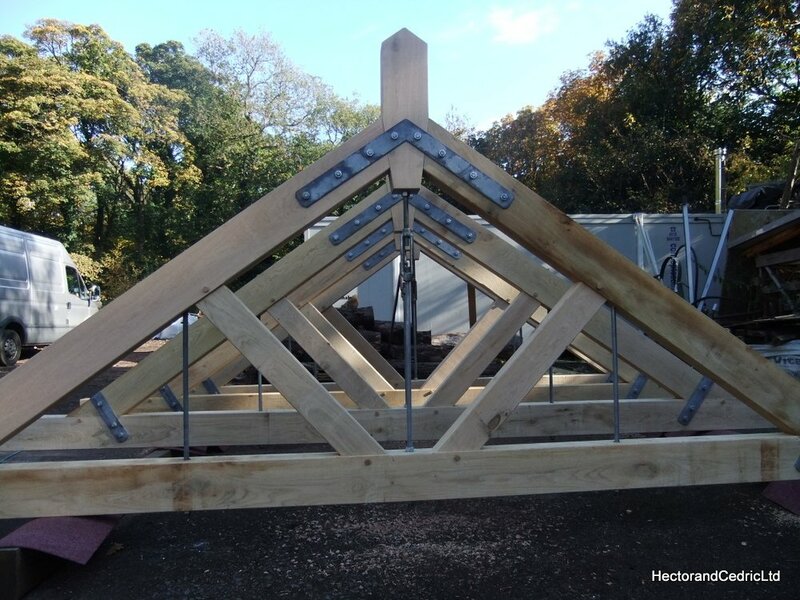 Working on these frames has inspired us to produce smaller structures such as our camping pod and cruck shelter for everyone to enjoy.